I love that more people are encouraging more people to travel. One of the greatest lessons traveling has thought me is acceptance to other people's culture, race, religion and language. Diversity has a deeper meaning. I was lucky that I got to experience a really awesome and once in a lifetime opportunity of living with 9 other (awesome) people from different parts of the globe in another country. Unfortunately, not a lot of people are given a chance to explore the world, learn from travel experience and understand other culture. A world without strangers is an ideal world where people are not divided by race, class, religion or culture. It is a world where everyone welcomes each other as if they are friends or family. This is what Giordano Philippines stands for, and it longs to do so by developing apparel for everyone regardless of ethnicity, nationality or culture. Be an ambassador of this campaign. 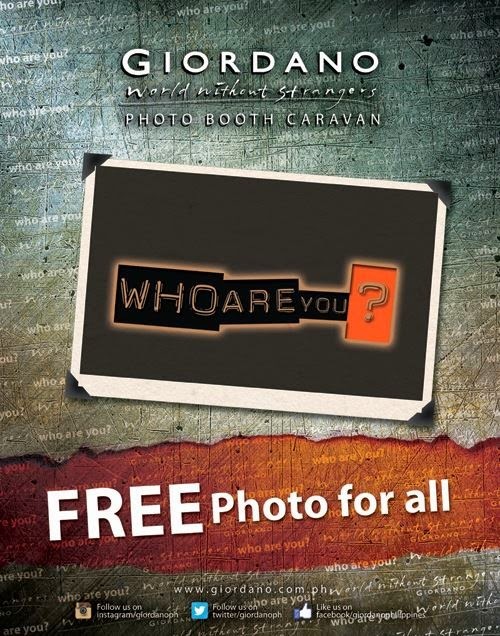 Visit the photo booth and sign a consent allowing Giordano Philippines to use your photos on social media and other Giordano marketing collaterals. You will get to bring home their own copy of the photo.